Selma de Mink is an Associate Professor at the ‘Anton Pannekoek’ Institute for Astronomy and Astrophysics and the GRAPPA institute for Gravitation and Astroparticle physics at the University of Amsterdam and PI of the BinCosmos group which is supported by an ERC starting grant and a NWO Vidi and TOP grant. De Mink obtained her degrees at the University of Utrecht where she completed her PhD thesis under supervision of Dr. O. R. Pols. She took a short postdoc at the Argelander Institute in Bonn with Prof. Dr. N. Langer, before moving to the US for a NASA Hubble Fellowships This allowed her to work at the Space Telescope Science Institute (STScI) in Baltimore, Md and Johns Hopkins University (JHU). In 2013 she moved to California, to take an Einstein & Carnegie-Princeton (Lyman Spitzer) Fellowship to work at The Carnegie Institution for Science: The Observatories and Cahill institute for astronomy at the California Institute of Technology (Caltech). She returned to the Netherlands in 2014 to start a new research group at the Anton Pannekoek Institute for Astronomy at the University of Amsterdam as an assistant professor, MacGillavry Fellow and Marie Curie Fellow. In 2017 she was awarded Merac early career award in theoretical astrophysics. Her research interests range from the most massive and luminous stars to the oldest low mass stars in the halo of our galaxy that still bear the chemical imprints of the past. She is interested in how massive stars form, whether they form alone or with companions and she is interested in how they die and whether they leave behind a neutron star or black hole. 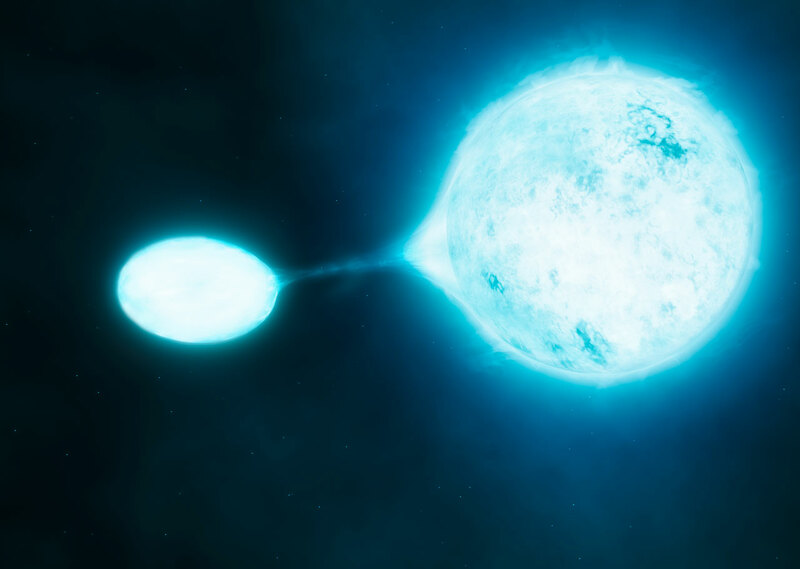 Whether they can eject their binary companion to become a runaway star. She studies the impact of stellar rotation and interaction with a binary companion. The big question that drives her work is the question about our own Cosmic History. How did (massive) stars help to transform the pristine, dark and hostile Universe that was left after the Big Bang into the modern, diverse and precious Universe in which we live today? Credits: Banner image: E. Buunk (design) and NASA, ESA, F. Paresce, R. O’Connell, and the WFC3 Science Oversight Committee (background HST image).